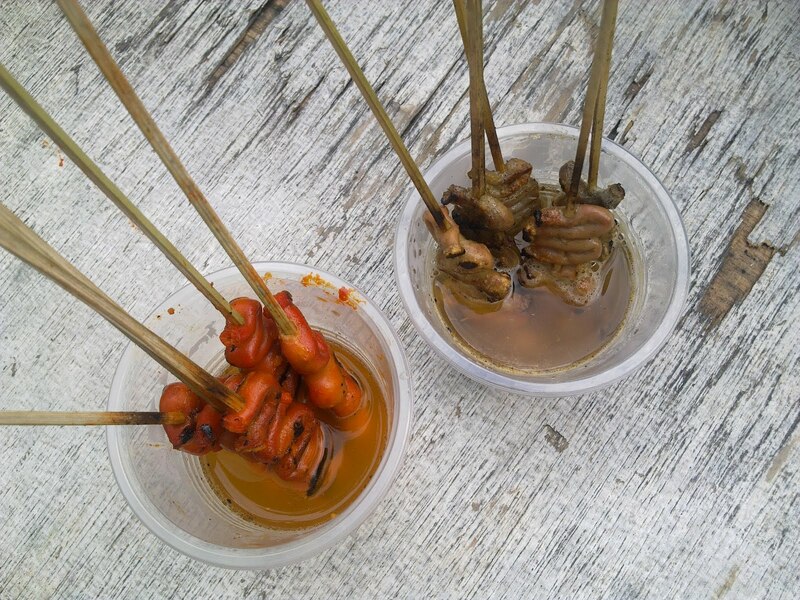 The CityLifeStylist: Wow, More Isaw! 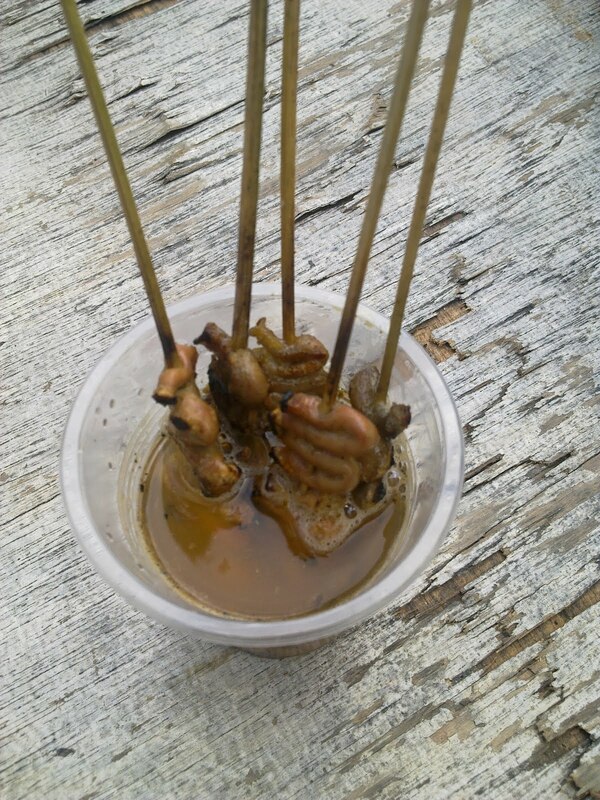 Dropped by UP Diliman with a friend one Saturday and decided to get some isaw (intestines). I've always loved Mang Larry's chicken isaw but my friend suggested that I try the ones from Ate Angie's. 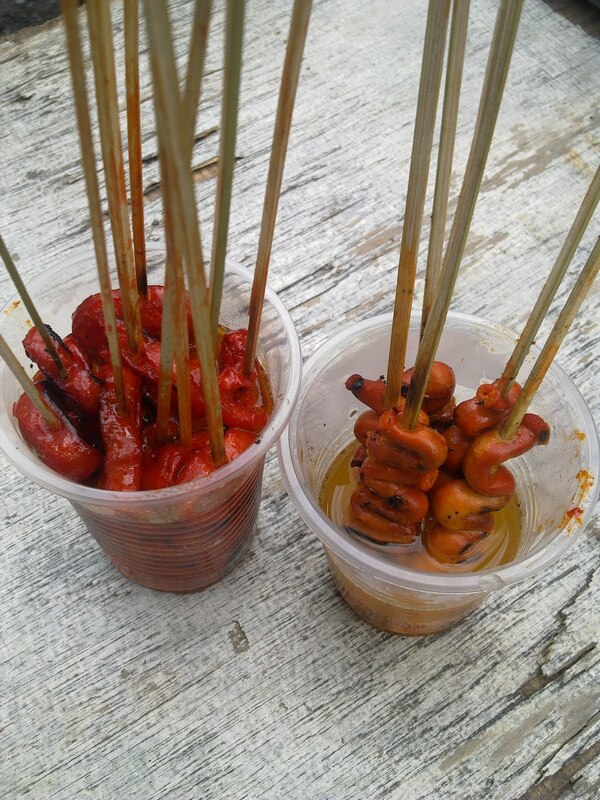 On the other hand, I liked Ate Angie's pork isaw (left) better than the ones from Mang Larry's (not in photo). 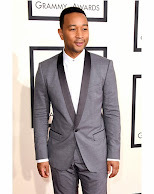 They're both very savory, but again, texture is the deciding factor for me. Sticks of pork isaw from Ate Angie's are a bit thinner and more toasted. Blogging about these street treats makes me want to go to UP right now!